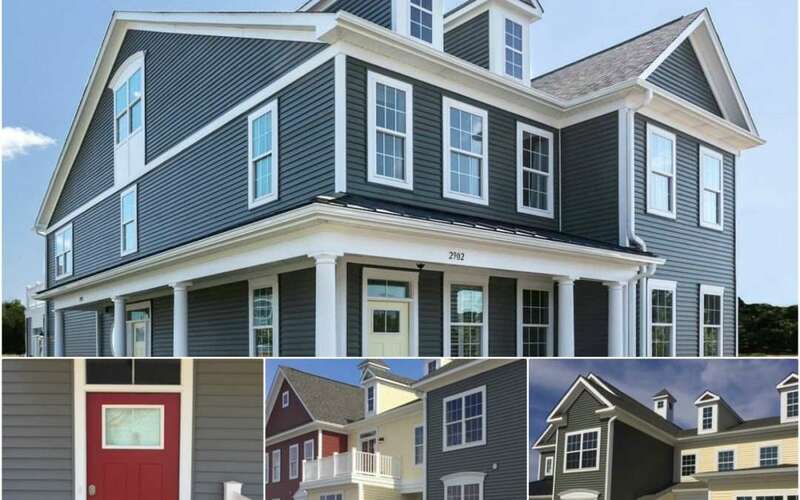 Founded in 1976 by Frank R. Spadea, 4,000+ new homes in Hampton Roads past 40 years. Focus on higher density for-sale condominium communities. We do our own land planning and home design in-house. Numerous awards over the years for excellence in design and execution. What was your procedure for choosing the colors? I took 2’ X 2’ sample boards of each of the 10 to 12 colors under consideration into our parking lot and put them together in sunlight and shade. I picked the best 8 color combinations and put them together with 4 different roof colors and four different accent paints on the front doors. We “pre-select” all the colors in advance for best streetscape. Customer does not get to choose colors.